Another milestone for this little blog has been reached today! I have been accepted into the Her Campus Network, another blogging network that connects bloggers around the world! I'm so thankful to see how this little blog has grown and I hope that this (and my writing) will continue to be a nice read for you all. 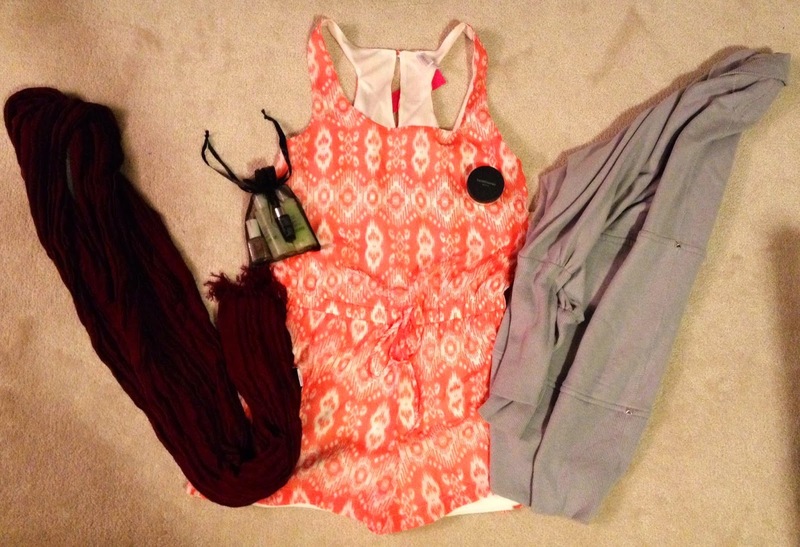 Today I'm presenting you with another haul, this time for fashion and beauty. Some I purchased for use in the summer, others were great finds for use in the coming cooler seasons. Here are the featured items! I've finally found a romper that fits me! I'm not a particularly tall person but the rompers that I've tried before tended to be too short on me (I don't want any part of my gluteus maximus to be revealed!). This one is just right and I feel very comfortable wearing it. What's even better is that I found this romper at Target! The clothes sold here are cheap in price but still great quality, which is exactly what I look for. 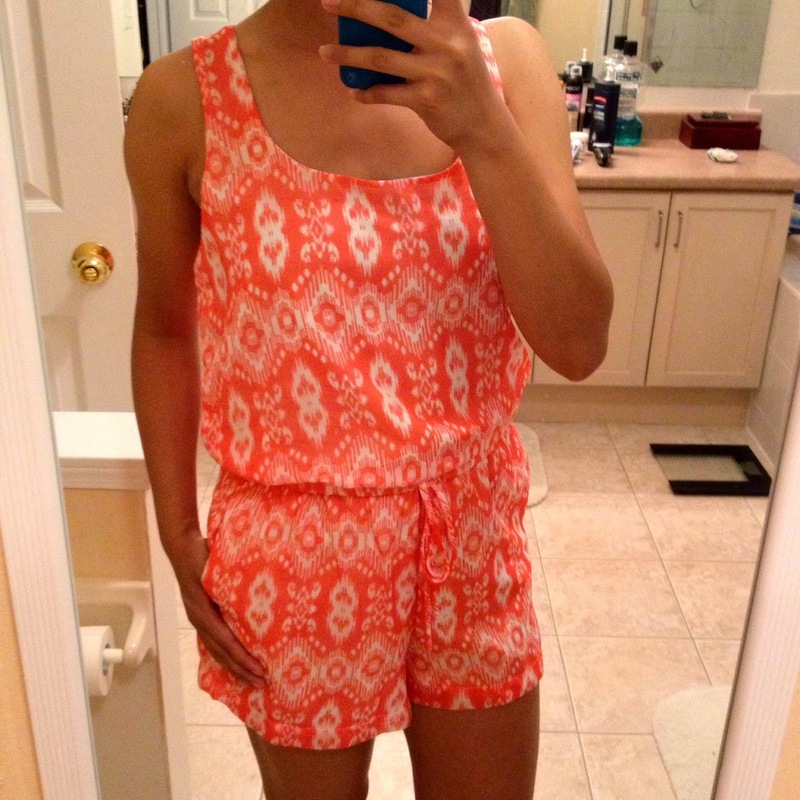 This romper screams summer with the coral colour and pretty tribal print. 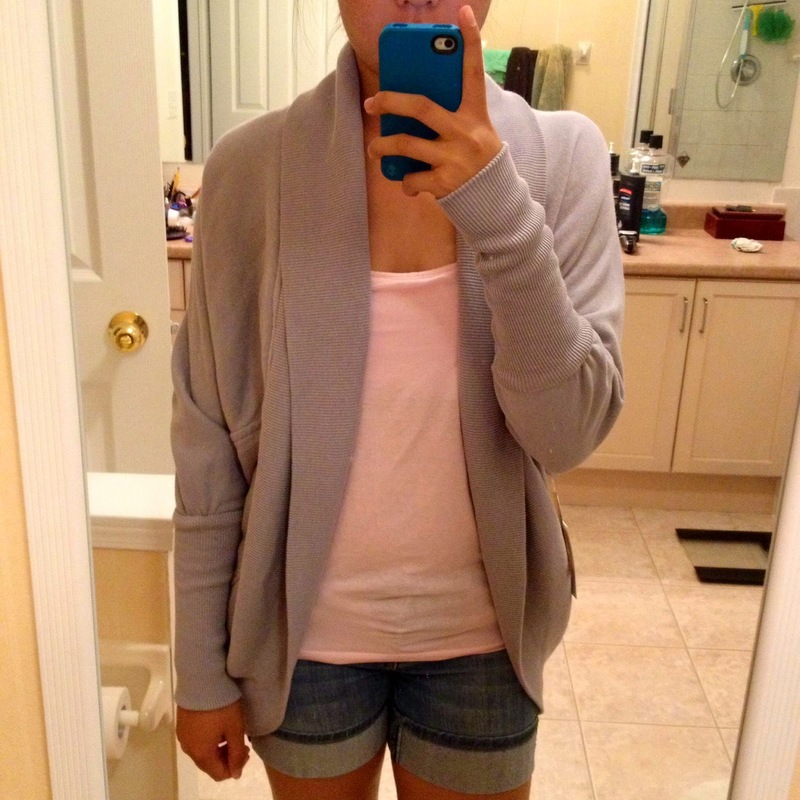 It has a drawstring detail at the waist and has pockets as well. Can't wait to wear it in the coming month! This sweater is sold at Aritzia and I've been wanting it for years! I would never buy this at its original price of $95 but lucky for me this was (finally) a part of Aritizia's summer sale! It's still going on so go to their website and check out their stock on clearance! Wilfred is an amazing brand with classic pieces in their collections and this is one of their signature items. The cocoon style and soft-brushed cotton makes it super warm and cozy to wear in the fall and winter, or even on cool summer nights. There are also a few pyramid studs that run down the back of the sweater, which is another feature of this popular sweater. I got this in the dusted lavender colour. I enjoy reading the reviews that Youtubers and other bloggers do on subscription boxes that are filled with beauty, fashion, or health goodies and I wanted to join in on the fun! I subscribed to the Loose Button Luxe Box that comes once a season. The Luxe Box is moreso for beauty products and it's a cool way to try higher-end mini's or sometimes even full-size products that they include in the package. 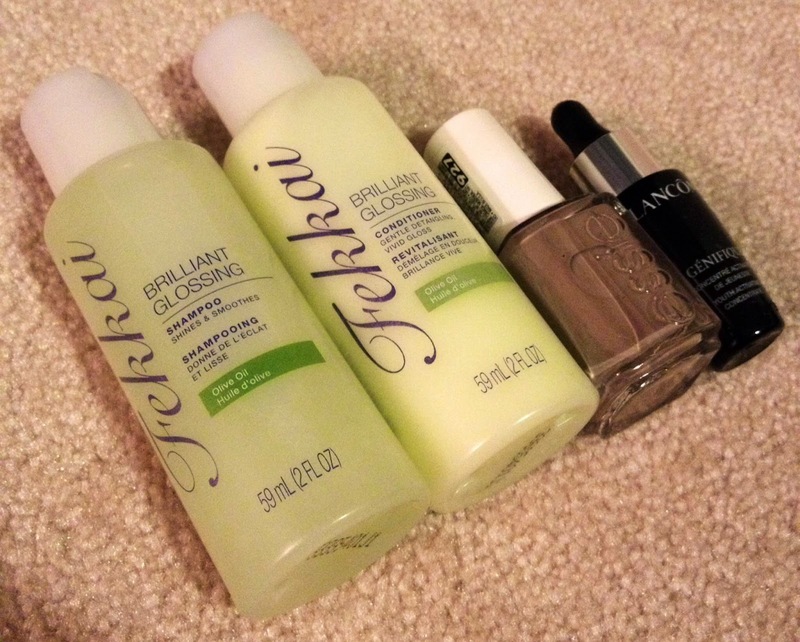 I received a welcome kit for subscribing and it included these four things: Tekkai Brilliant Glossing Shampoo and Conditioner minis, Essie "Miss Fancy Pants" full size nail polish, and the Lancôme Génefique Youth Activating Concentrate sample. I haven't tried any of them yet but I will have reviews on these coming soon. My skin is oily and sometimes wearing my usual BB cream makes my face look even more greasy than it is in the summer. 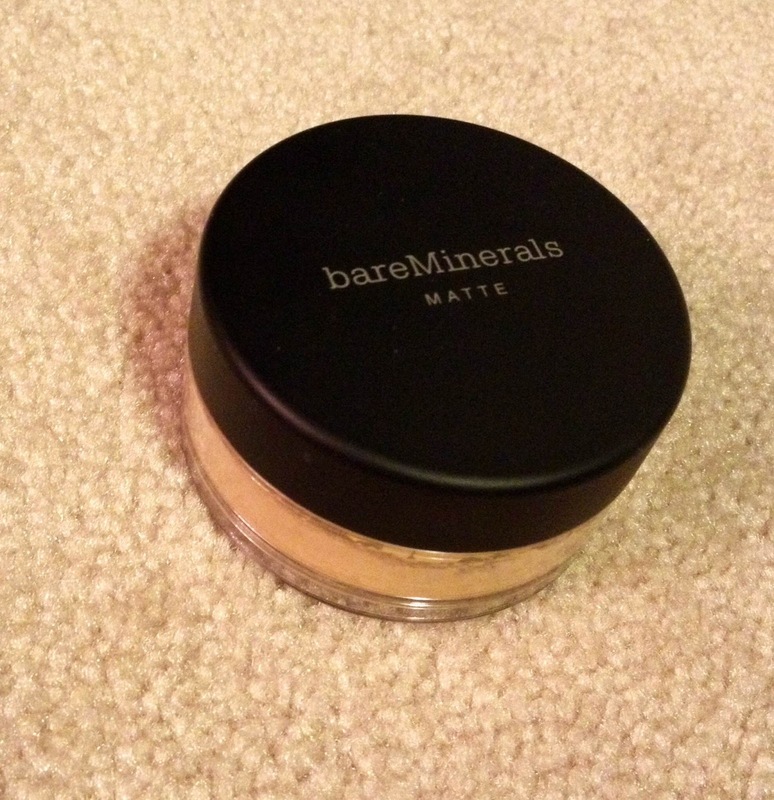 I decided to go ahead and try mineral makeup because powder foundation can help absorb oil and keep my face looking matte for a longer period of time than any kind of liquid foundation/cream. This product is now my go-to summer foundation. It's very simple to use and all beauty consultants would tell you to do this: Swirl. Tap. Buff. :P You determine how much coverage you want from this foundation depending on how much you put on so it's very versatile. Another benefit is that this also provides SPF 15 against damaging UV rays from the sun! Titanium dioxide and iron oxide are two ingredients in this powder that are physical sun blocks, however you should not depend only on the powder for sun protection (keep wearing that sunscreen!). I like using this for a light coverage to simply even out my complexion and slightly cover my facial scars so they're not as evident. Another find in the Aritzia summer sale that I'm happy to have! Maroon is such a beautiful colour that's perfect for the fall season. The colour matches so nicely with the surrounding leaves that turn red and burgundy during those months and I adore it. 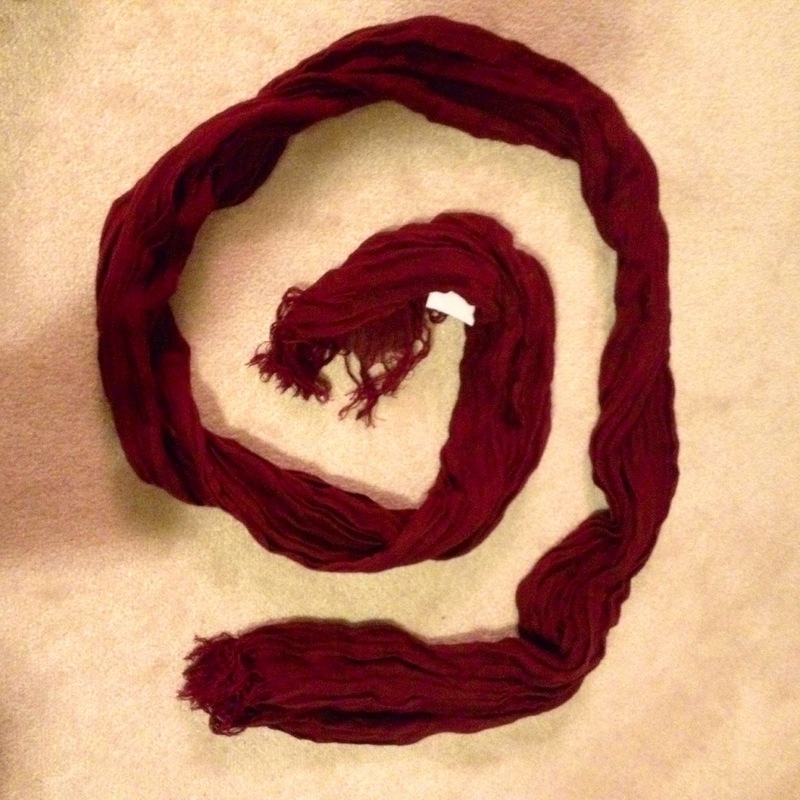 This is a lightweight scarf that can add an extra pop of colour to an outfit or add to a layering ensemble. Of course it can help keep my neck warm as well. It's made of linen and I got it in the ange colour. What are some things that you hauled this month?